These deliciously crunchy, 100% natural dog treats are made from whole food sources including grains, fruits, vegetables and herbs without the addition of synthetic vitamins, fillers or additives. This makes for a natural, functional and healthfully delicious dog treat that you can feel good about giving your dog. Antioxidant-rich ingredients to support overall health & well-being Whole Food-based Dog Treats Functional Made & Sourced in the U.S.A. Contains Cyracos, a patented strain of lemon balm extract, and lavender. 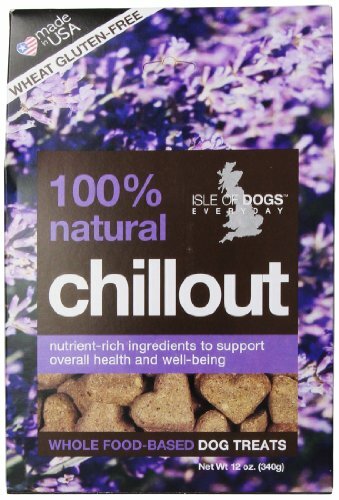 Recommended for dogs with separation anxiety and tensions caused by changes in daily routines. All ingredients are obtained from whole food sources including grains, fruits, vegetables and herbs with no addition of synthetic vitamins, fillers or additives. 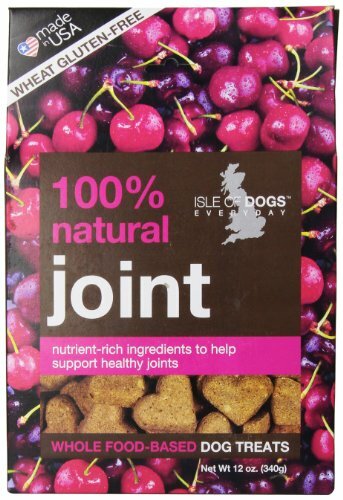 Our Joint treat features anti-oxidant rich organic cherries, organic apples, flaxseed and rolled oats. In addition to this wholesome mix of ingredients we have added glucosamine and chondroitin to help support joint and bone health. 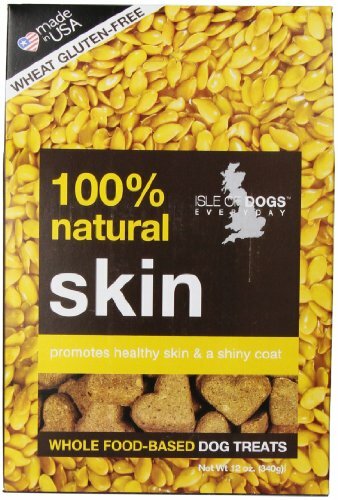 These deliciously crunchy, 100% natural dog treats are made from whole food sources including grains, fruits, vegetables and herbs without the addition of synthetic vitamins, fillers or additives.This makes for a natural, functional and healthfully delicious dog treat that you can feel good about giving your dog. Antioxidant-rich ingredients to support overall health & well-beingWhole Food-based Dog TreatsFunctionalMade & Sourced in the U.S.A.
Our Health treat features a delicious blend of anti-oxidant rich organic blueberries, organic sweet potatoes, organic apples, organic carrots and nutritious whole grains to help your dog maintain overall health and wellness. 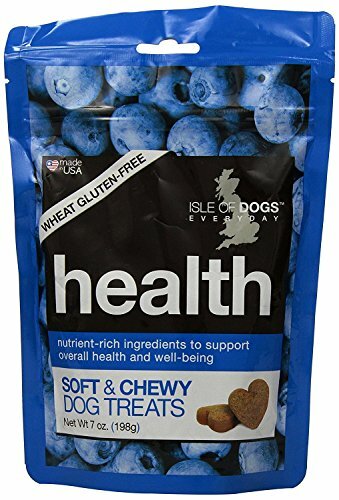 Why should your dog have to sacrifice taste for good health In this treat, good health and great taste join together- naturally. 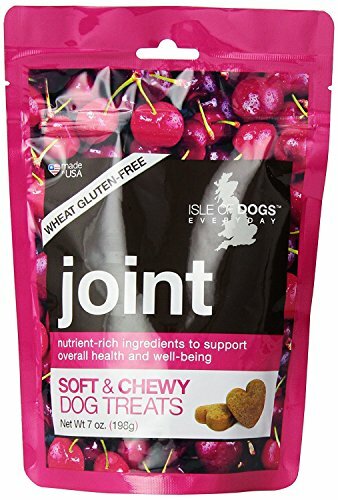 Isle of Dogs joint treat features a delicious blend of organic cherries, organic apples, flaxseed, and rolled oats. Cherries are known to be an abundant source of the antioxidant-rich compounds called anthocyanins. 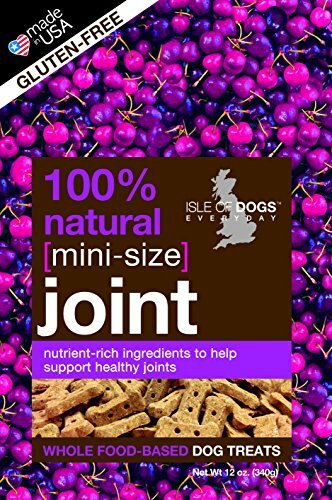 In addition to this wholesome mix of ingredients are glucosamine and chondroitin to help support joint and bone health. 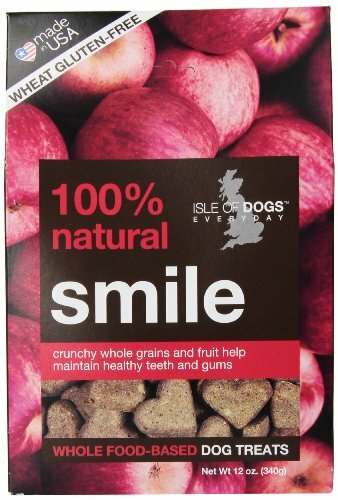 Now you can give your dogs a healthy treat that is all that with a cherry on top. Concentrated bioactive Hardy Kiwi Fruit promotes healthy skin by improving skin structure and water barrier function. Promotes healthy skin and thick, shiny hair. All ingredients are obtained from whole food sources including grains, fruits, vegetables and herbs with no addition of synthetic vitamins, fillers or additives. Let's say two loaves of bread taste exactly alike. 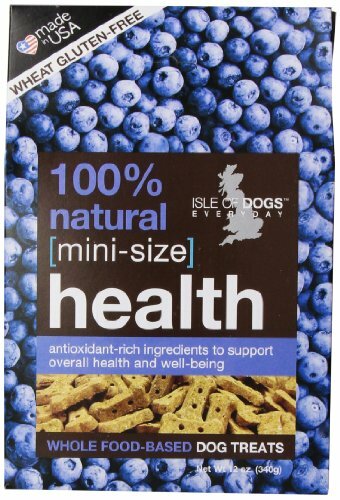 Would you choose the one loaded with nutritional benefits or the one with empty calories If you look for added nutritional value in your own food, shouldn't you require the same in your dog's treats Isle of Dogs mini treat features the same delicious blend of antioxidant-rich organic blueberries, organic sweet potatoes and nutritious whole grains as Isle of Dogs health treat. For those whose tastes prefer it, this is a smaller treat- but only in size. Mini has the same wholesome ingredients to help your dog maintain overall health and wellness. We know your dogs will be excited to get this treat. Now you can be just as excited to give it to them.